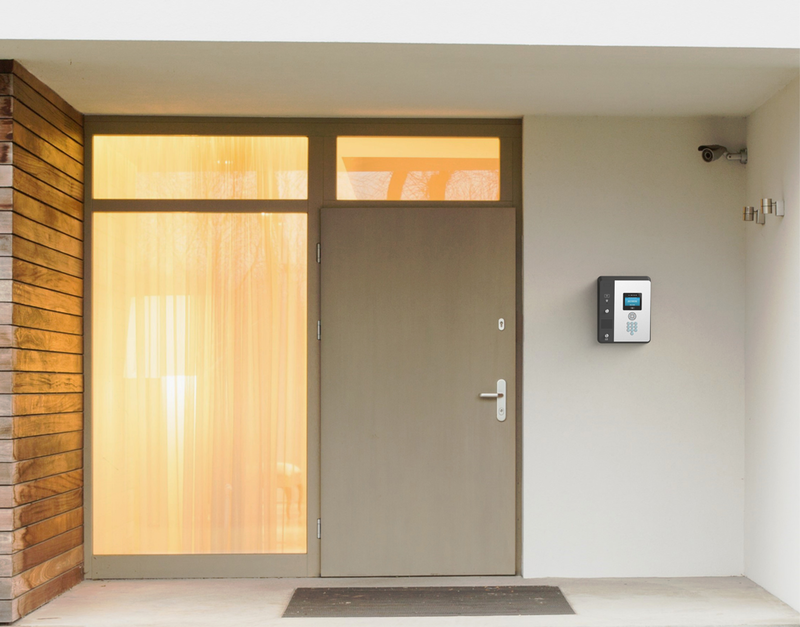 Nortek Security & Control is a leader in wireless security systems, with over 20 million connected devices across the country. Nortek recognized that expectations for product and user interface must parallel our intuitive smart phone experiences. 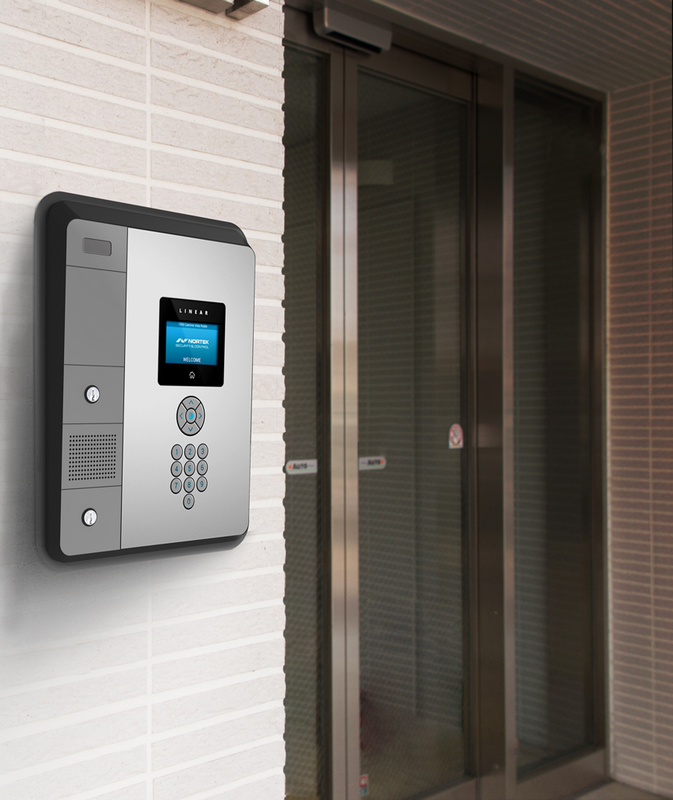 Nortek engaged with DDSTUDIO to discuss design and development for the Next Generation Access Security Panels for communities and complexes that would provide a new easy and effective user experience for both resident and visitor. Access Security Panels are typically outdated boxes that are often difficult to use. Many panels exhibit obscure step-by-step processes that lead a visitor down a corridor of instructions to get to the resident. The information displays are often in uncomfortable distances from car windows and the buttons are often illegible, especially as the sun descends. The pay-phone keypad is typically jam packed with commands, in which the # and * buttons are crowded with possible functions – an antiquated pay-phone legacy. People have come to expect appliance interactions to be as accessible as their other personal devices. Nortek teamed up with DDSTUDIO to construct a sleek, modern physical product combined with an intuitive interface. They sought to discover a new brand identity for Access Security Panels that could be serious fun and easy use. Nortek ultimately wanted to never see another frustrated visitor shaking their head at the entry box. The design specialists at DDSTUDIO began with a range of panels at various price points, from a full tablet touch screen to a version with a dual keypad and small information display. The challenge was to design a sleek and modern, rugged and durable branded aesthetic; together with a new digital user experience that would embrace simple instructions and fast access, supported by appropriate sound signatures. There are two significantly different interactions between the resident and visitor. Each has different needs for access. The device has to be intuitively streamlined for each party. The process was propelled by competitive analysis and user research, which led to alignment workshops and brainstorms with Nortek executives. We wanted to unlock potentials for “fun” and look at a wide variety of ways to enhance the entry experience from party codes to personalized music. We applied design thinking to focus on the human-machine interaction, as opposed to just the machine itself. We could look beyond a seemingly casual experience to seek a comfortable experience that promotes positivity from approach to access. We created Journey Maps to walk through each new concept and idea, and explored baselines familiar to the digital generation. We pulled-in fresh sensory brand language to directly relate to the client and their customer /user. Wireframes concepts and high fidelity design comps were developed for keypad interaction and displayed information. We tuned-in aesthetics, design details and engineering. This led to the new, rugged yet refined color, finish, and material base that would construct a distinctive brand identity for Nortek. We presented the final prototype and a new virtual reality element that further explored the possibilities of the user experience /interaction within the device. We delivered this realistic animation as a working prototype to be used by Nortek as a live simulation at a tradeshow pre-launch. Uniquely designed for today’s user, the e3* Tele-Entry System simplifies the access experience, speeding-up how we locate and contact residents. The initial offering has an intuitive 4.3” color screen interface that minimizes click-thru steps via visual navigation prompts and voice guidance. 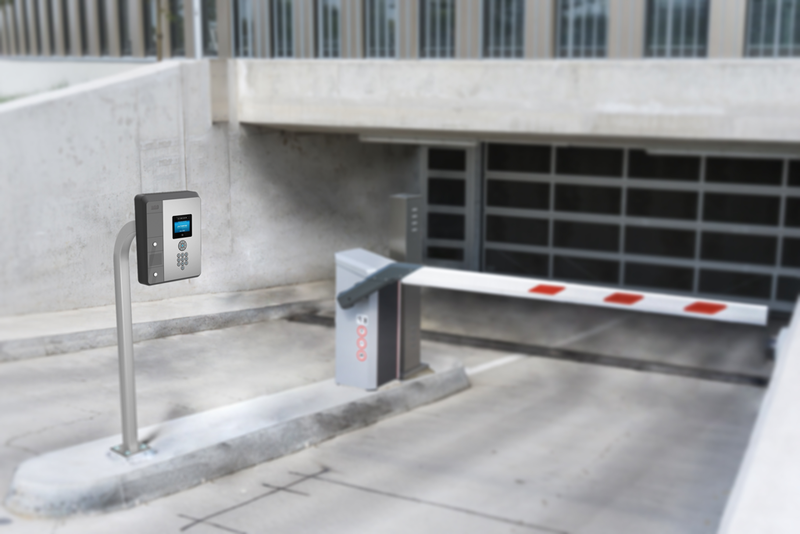 The e3 Tele-Entry System is designed for multi-dwelling buildings and gated communities. 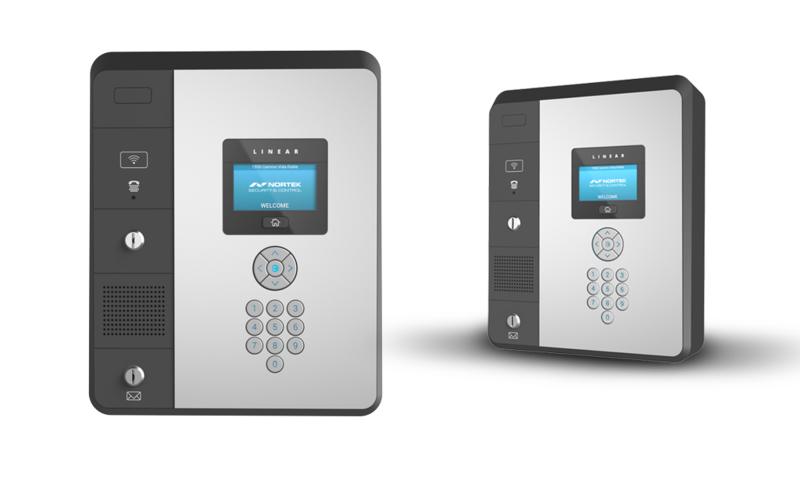 It is easy to manage via the browser-based Remote Management Console that is shared across all three of the Linear e3* access control family members.